On ChameleonJohn, Lowe’s coupons are updated every single day. Here, you’ll find only the best Lowe’s deals and offers, such as holiday sales offering up to 60% off discounts or even sitewide coupon codes that’ll give you a 30% off discount off most products offered by Lowe’s. Scroll down to see what’s good among Lowe’s promo codes today. How to Apply Coupons at Lowes.com? Once you’re sure you’ve selected all the products you want to buy and are ready to make the purchase, click on blue cart icon on the top right corner of the screen. This will take you to your shopping list. Here, you’ll be able to see all of the items you’ve selected and start the checkout process. Make sure to select your preferred delivery method, Protection Plan (we’ll talk about those in more detail) and enter the desired quantity for each item. Scroll down to see the “Cart Summary” section. That’s where you’ll find the window to enter your Lowe’s coupon code. Copy-paste the promo code from ChameleonJohn and see as the price adjusts. If the website says that the code you entered was invalid, make sure you’ve entered the code correctly. Note that codes are not case sensitive - you can enter promo codes in uncapitalized letters even if the code contains some, and vice versa. We strongly recommend you simply copy the coupon code straight from our website. Why Should You Choose Lowe’s? Choosing one retailer over another isn’t a trivial task - mostly because all of the top e-commerce businesses are so good at what they do. The competition among online retailers is more extreme than ever, but it entails only good things for the end customer: delivery times are shrinking, product selections are getting more diverse and discounts are reaching new peaks. So, why should you consider buying at Lowe’s, instead of choosing one of numerous big-name competitors? The first thing visitors will notice on the Lowe’s website is the simplicity and clarity of the design. Everything about Lowe’s is neat and user-oriented: every single piece of information given on the website is essential and straightforward; every single picture pleasant to the eye and serving an informative purpose. Looking for opening hours of a physical Lowe’s store near you? They’re right here on the homepage, top left corner. Interested in Christmas shipping deadlines? No problem, they’re the first thing you’ll see once you enter the website. At Lowe’s, it’s almost impossible to get lost, even if you’re not a frequent online shopper. Then, there’s the fact that Lowes.com is so much more than just an online shopping platform. The website is equipped with many tools that serve a sole purpose: to help shoppers out with pretty much every shopping-related problem. In the middle and the bottom of the homepage you’ll find sections for all types of shopping inquiries. Want to see only the hottest deals and offers? Here’s a section that’ll filter all of the regular offers out. Need help with product installation? The dedicated Lowe’s team will help you with pretty much anything, from bathroom remodeling to window installations. And, if you’re still unsuccessful in finding the right information on the website, the customer support number is right here, on the bottom left corner (1-800-445-6937). Lastly, there’s the question of reputation and specialization. You could buy many of the home appliances and building supplies offered at Lowe’s from a general online store, too, but why would you? Lowe’s are dedicated homebuilders and home-improvers. Many people consider housebuilding to be stressful, but it doesn’t have to be if you get things right, the first time. The proficiency of Lowe’s experts will show everywhere: from correct measurements on their website to quality installation at your house. Whether for in-store or online purchases, getting a Lowe’s consumer credit card should be one of your top priorities. Why? Because the benefits associated with it are ridiculous, and all you have to do in order to access them is to fill out an online form. With the consumer card, you’ll be able to choose among two saving programmes: 1) 5% off daily discount for your whole order (does not work with coupon codes!) 2) free first 6 months of product financing (order has to exceed $299). Read more about how to apply and benefits entailed here. If you and your family have decided to renovate your home (even if just a little), but none of you have a firm idea of what could be done, the Lowe’s Ideas and How To’s section will definitely help you out. The appeal of this section is created by its proximity to the buyer’s perspective: you search for ideas first, and buy items second. At Lowe’s, you can do both. Lowe’s offer free shipping for most products, but they usually have set a minimum order amount for it to be eligible for free shipping (as of the time this article is being written, the minimum amount is $49). Make sure you go through their brief shipping guidelines to make sure your order is not a few dollars short from being eligible for free shipping. Once you do finalize your order, given you’ve selected Parcel Shipping as your delivery option, you’re eligible to track your order as it is reaching your house. Read more about delivery tracking here. If you want to get exclusive weekly deals and offers from Lowe’s straight to your mailbox, make sure you subscribe to their newsletter. Besides getting information on sales and clearances, you’ll also be receiving the newest limited-time Lowe’s promo codes, along with new how-to idea articles and upcoming Lowe’s event notices. You’ll find the sign-up buttons at the bottom of each page. If a good price is by far the most important criteria for you (or you’re looking to buy a not-too-expensive gift for your crafty spouse), check out the Weekly deals section. Here, you’ll be presented with all of the ongoing percentage-off discounts in a neat, categorized fashion. Also, don’t forget that an already sweet deal can be made even sweeter with a Lowe’s coupon code (although not all discounted items are eligible for coupon code discounts!). You’ll find the Lowe’s Weekly Deals section here. If you prefer to do your shopping through mobile devices, Lowe’s is the home improvement shopping spot for you. Currently, they have three mobile apps: the shopping-oriented Lowe’s Mobile App, a smart home management app Iris and the Lowe’s TV app, which lets you watch their original series. The main Lowe’s Mobile App is an all-in-one shopping helper. With this tool, you’ll be able to scroll through extensive Lowe’s product lists and see all of the relevant product information (technical specifications, prices) just like you would on the website. However, in addition to the standard Lowes.com functionality, the app will also let you take notes in their Quick Note feature, removing the chance of forgetting something from a long list of purchases. However, it doesn’t end there. Lowe’s Mobile App will also guide you through their physical stores: each of listed items can be located on their minimap feature, so you know where to find what you’re looking for instantly in your local Lowe’s. The app also gives information about the availability of each product and it will even let you scan the product barcodes to instantly get all of the information about the item. In MyLowe’s section of the app, you can keep track of your purchase history and even purchase the items on your list, as long as you’ve saved your MyLowe’s card to the app. Lowe’s Mobile App is available on Apple store (works on Apple Watch) and Google Play marketplace for free. Iris, Lowe’s home management app, will let you to control key elements of your home straight from your phone. For example, you can control your home’s temperature, manage the security alarm and even lock/unlock the doors, given you’ve installed the appropriate Lowe’s systems at your home. One feature by Iris that truly stands out is the camera functionality that the app brings to the home management scene. Iris will use your home’s camera systems to notify you when someone arrives at your doorstep (e.g. delivery), when someone leaves the house (children) or even check on your pets (when you’re on vacation). Iris is also available on both Apple and Android products in their respective app stores. The last one of Lowe’s apps is a lot more uni-functional than the others. The Lowe’s TV app is designed for Smart TV systems and will let you watch the original series created by Lowe’s, such as “The Weekender”. The app is currently available on Apple TV, Amazon Fire TV and Roku platforms. You can refuse to accept the delivery. You can accept the delivery and mail the products to the return address. You can take the product to your local Lowe’s store. If you fail to provide a purchase bill when requesting for a refund, you can only ask for a return as large as the current item’s price. Also, note that all holiday-season specific items must be refunded before December 31st of the same holiday season. You can find the full refund policy information here. Get 30% Off Your Order. Nothing more to say here, really - a 30% off sitewide discount is everything a shopper could ask for. 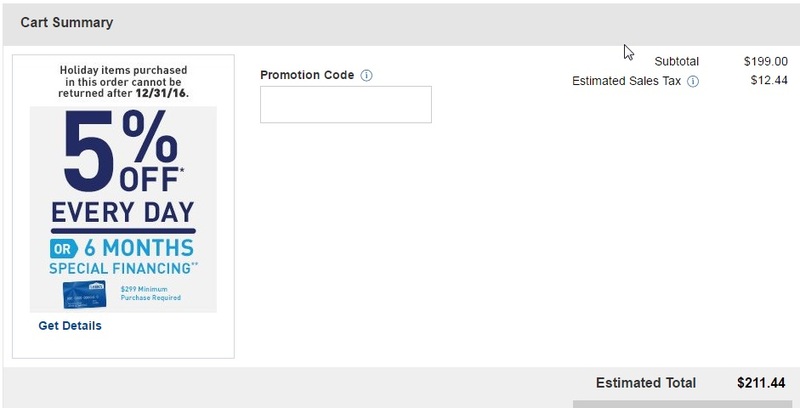 However, be careful when factoring this discount into the final bill - not all products are eligible for this Lowe’s coupon code, especially those already discounted. Up To 40% Off Today’s Offers. Lowe’s, just like any other major retailers, sometimes want to get rid of certain items. Perhaps of the ones that didn’t sell well, perhaps exactly the opposite - the ones that sold the best and yield the biggest profit margins for Lowe’s. All it means for you is that there are huge discounts to be found and they change day by day. Get 11% Off Your Next Purchase. Hands down one of the best printable coupons available today. However, don’t get your scissors out just yet - since not all stores will accept this coupon, you’ll have to check whether your local Lowe’s is on the list. You’ll find all of the required information on the actual coupon. 10% Off Discount for Military Personnel. Is someone among your family a part of the military? Tell them they’re eligible for a 10% discount for all products at Lowe’s. While not all military organs are eligible for this discount, on Memorial Day, 4th of July and Veteran’s Day Weekends all people with a valid military ID can redeem a 10% off discount.